It seems that the highly convenient Adventure Sync feature of Pokemon GO might become even more useful. As most Pokemon GO players may know, the Adventure Sync feature helps track how far players walk even when the app is closed. Currently, this allows them to hatch eggs and collect buddy candy without having to keep the app open 24/7. However, Pokemon GO dataminer Chrales has discovered some hidden data suggesting that even more functionality for Adventure sync may be coming soon. new feature of Adventure Sync : "awareness"
"Now Adventure Sync can notify you about nearby new Pokémon!" "Adventure Sync can find nearby new Pokémon even while Pokémon GO is closed!" Taking the wording at face value, this sounds like an incredibly convenient feature for players who don’t want to check the app constantly for new Pokemon. 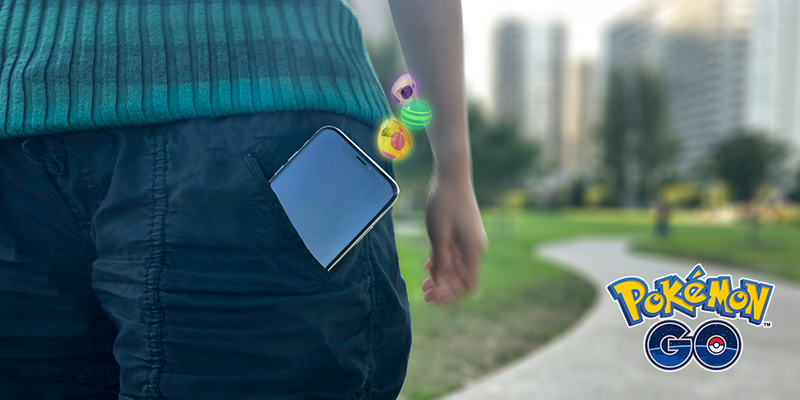 This new feature would allow players to go about their day normally, and only check the app when they receive a notification from Adventure Sync that a new Pokemon is nearby. What do you think? Does this sound like a great new feature? Let us know in the comments below.